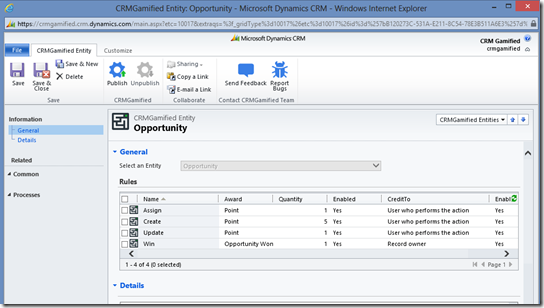 Pablo Peralta's Blog - Today we are changing the way users will adopt Microsoft Dynamics CRM! Today we are changing the way users will adopt Microsoft Dynamics CRM! I’m really really excited to share this news with you! You have no idea of how long we’ve been waiting for this moment. For the past few months we’ve been very busy working on a new exciting project and now it’s finally time to let the game begin and tell you everything about it! So, here it is. Pay attention. We call it CRM Gamified®. Pretty self explanatory, isn’t it? 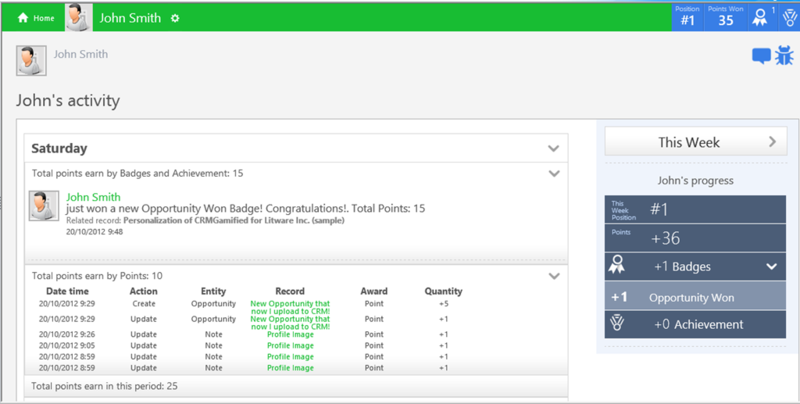 Indeed, it’s a complete gamification solution for your CRM / xRM . 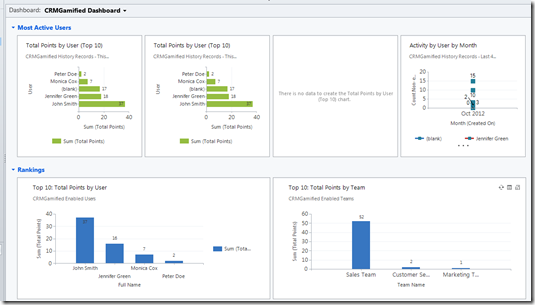 A groundbreaking add-on for Microsoft® Dynamics CRM 2011 Online and On-premises that will change the way users adopt the CRM. 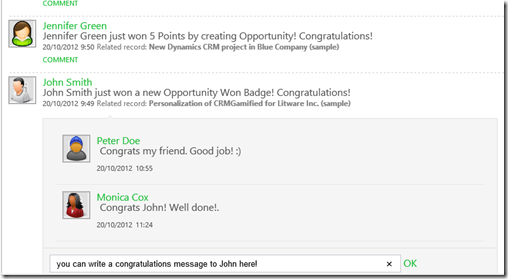 It applies gamification technics to encourage the adoption of the CRM by final users (i.e. salespersons), rewarding them for their actions and goals achieved according to your business rules. 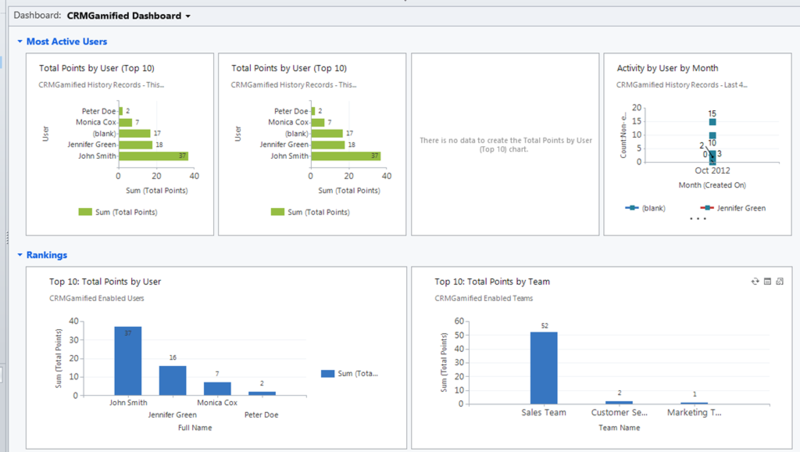 In addition, it allows managers and CRM project sponsors to get real time information and metrics on how their teams are using the system, who is doing what, and how to influence people’s behavior to get better results and return on CRM investments. That’s right! 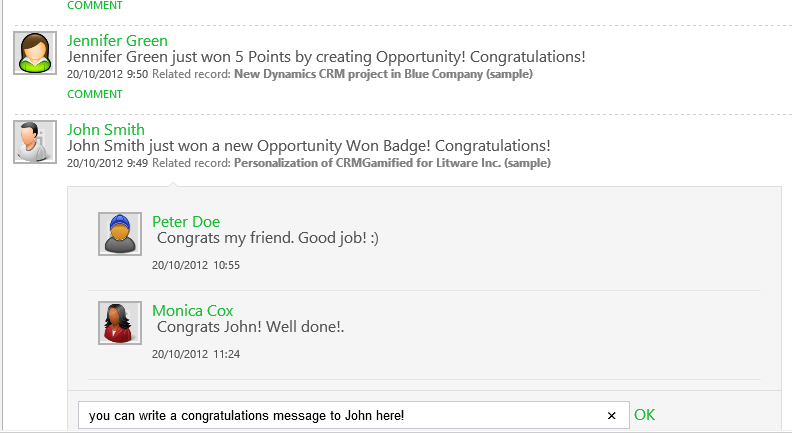 We are so excited about CRM Gamified® that we just want to spread the word and let you be the judge. 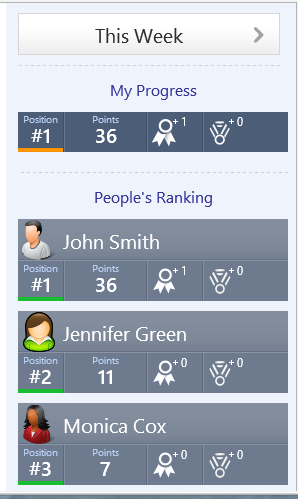 Please visit our home page (CRM Gamified®), fill the form and try CRM Gamified Beta for FREE. I encourage you keep it up with the news, by following CRMGamified® in twitter. We are starting something today. We can’t wait to hear what you have to say. 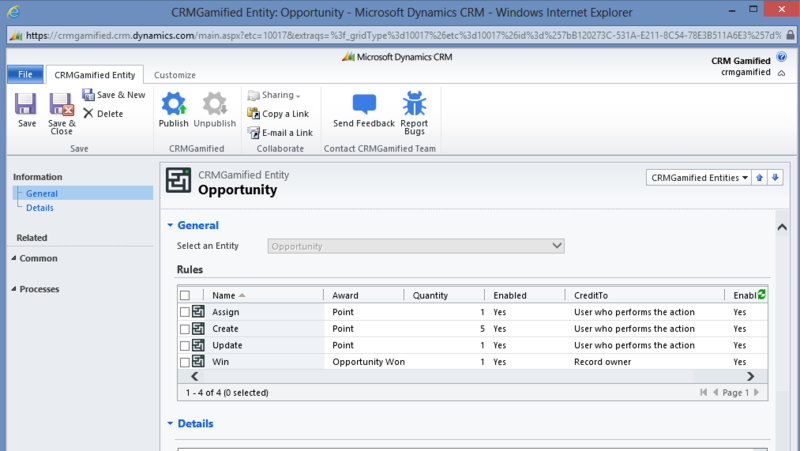 UruIT Dynamix | Excellence in Dynamics CRM Nearshoring Services. Thank you dear CRM Lady!. It's nice to hear this from you. Thank yoyu Brandon! Hope you enjoy it and send us feedback based on your field experience!. Thank you Yolande for your comment. I am also anxious you can evaluate it and let us know feedback to improve it! Great Job, I'm very glad to see this idea come true. Thank you a lot Edwin!